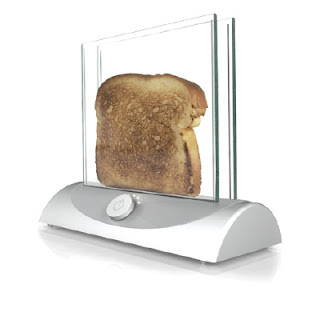 Now, you can watch your bread as it toasts with this clever invention. If you're into sleek and modern designs, this would be the perfect staple to your kitchen. This toaster is made of heated glass, which is currently being used in heated towel hangers and food warming shelves. It is sleek, scientific, and artistic all at the same time! This Transparent Toaster comes from the Inventables Concept Group, which has a huge collection of really great design ideas. Their website is full of materials that are cutting edge and will likely be used to create new inventions. You can't buy this toaster yet, but according to new reports, it should be in production soon!